Christian Lefebvre d’Hellencourt has received his PhD degree from the University of Paris 7, France in 1995. 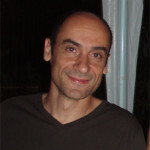 He has been assistant professor at the University of Angers, France from 1996 to 1998. Then from 1999 to 2003, Christian Lefebvre d’Hellencourt performed a postdoctoral training with Jean Harry, in the National Institute of Environmental Health Sciences (NIEHS), National Institutes of Health (NIH), Durham, North Carolina, USA. 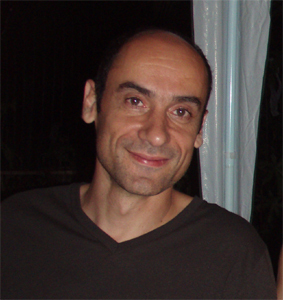 In 2003, the University of La Réunion, France hired him as assistant professor and habilitation was achieved in 2004. He has been director of the laboratory of Biochemistry and Molecular Genetics (EA2526) in the University of La Réunion from 2005 to 2010. Since 2010, he is the director of EA 4516 (Study Group on Chronic Inflammation and Obesity, GEICO) at University of La Réunion. In 2011, he became full Professor. Christian Lefebvre d’Hellencourt is member of the scientific board and Medicine faculty board of University of La Réunion, research board of the Réunion University hospital (CRBSP) and member of the French National University Board for Biochemistry and Molecular Biology (CNU 64). His research interests reside on inflammation modulation in pathologies, with a main focus on obesity effects on vulnerability of the central nervous system. Effects of peripheral inflammation and factors produced by adipose tissue on neuroinflammation and changed in trauma susceptibility in the central nervous system are some of the recent researches conducted in his laboratory. Glial cells (astrocytes and microglia) are especially studied in different model of neuroinflammation and neurodegeneration, both in vitro (cell cultures) and in vivo in mice. He has successfully supervised 3 PhD students and 9 master thesis.